A protest outside of the Tla-o-qui-aht’s administrative office on Tin Wis Reserve led to an impromptu meeting with the First Nation’s leadership on Monday. Approximately 40 members held the peaceful demonstration on the morning of Jan. 15, which prompted staff to invite the protesters inside to discuss their concerns. An informal meeting ensued over the next three hours between the members and the Tla-o-qui-aht’s elected council, Ha’wiih as well as some staff. In an interview with the Ha-Shilth-Sa, Frank explained that housing issues were at the forefront of the concerns discussed on Jan. 15. Many struggle with rental arrears. Communities along the west coast of Vancouver Island are facing a continued shortage of accommodation. With the median monthly rent for a three bedroom suite at $1,494, housing is a major factor causing the west coast’s living wage to be higher than anywhere else on Vancouver Island, according to the Clayoquot Biosphere Trust 2017 Vital Signs report. The document sets the living wage for the region at $20.11 an hour. Older Tla-o-qui-aht members are particularly affected by the housing issue, but help is coming to the First Nation’s reserves over the next year, said Frank. “We’ll be putting in about $1.7 to 2 million dollars in housing renovations for our elders, starting in the next month or two,” he said. The First Nation also expects to build another 90 houses with the continued expansion of Ty Histanis and Esowista over the next year or two, added Frank. Another issue raised during the meeting was the availability of federally-funded health benefits. Tla-o-qui-aht members are invited to bring attend a Jan. 19 council meeting or community meeting on Feb. 21 to continue the dialogue that took place on Jan. 15. Although the legislation was unpopular with many indigenous groups, Frank noted that the Tla-o-qui-aht have supported the First Nations Financial Transparency Act in the interest of ensuring accounting is openly available for review. 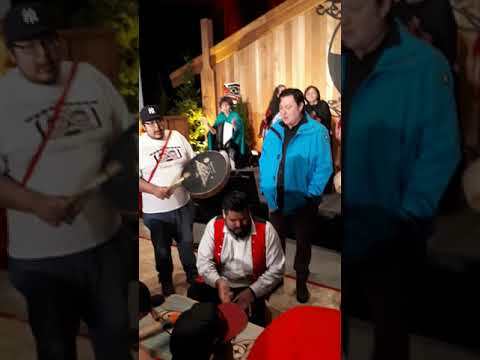 This act was introduced under the previous government of Stephen Harper, requiring Canada’s 581 First Nations to make their audited consolidated financial statements available to members, as well as a schedule of chief and council remuneration and expenses. The act also dictates that these finances are available on the Indigenous and Northern Affairs Canada website.